ABB today launched the world’s first dry-type (oil free) digital transformer, named the ABB AbilityTM TXpertTM Dry, and another innovative product called TXpandTM at its ABB Customer World (ACW) event in Xiamen, China. 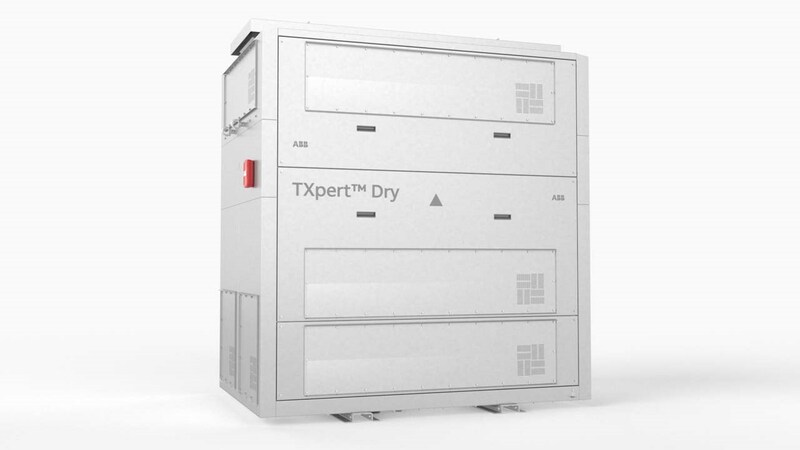 The ABB AbilityTM TXpertTM Dry incorporates digital capability within ABB’s proven dry-type transformers. Transformers typically use oil for cooling and insulation but dry-type transformers are designed to work without oil, where the core and the coil are cooled by air and non-flammable solid insulation material. This makes them safer, as the flammability element of oil is eradicated, and also more environmentally friendly. Such transformers are ideally suited for high-risk applications like offshore as well as densely populated areas and sensitive eco-systems. Smart sensors collect data and combine them into powerful analytics enable key functionality such as Power Quality Monitoring, Self-Supervision and Lifecycle Assessment, Due to its dry-type design, digitalization and little or zero maintenance, this new transformer offers enhanced safety and data security, increased up-time and optimized operations. ABB also announced the launch of its innovative TXpandTM solution for power transformers, where critical components such as the tank have a rupture-resistant design, to mitigate risks associated with unpredictable failures, offering enhanced safety and lowering environmental impact. The new product announcements follow the successful launch of a range of digitally integrated transformer technologies like the TXpertTM distribution transformers, the ABB AbilityTM based digitally integrated Power Transformer, as well as the TXploreTM service solution.